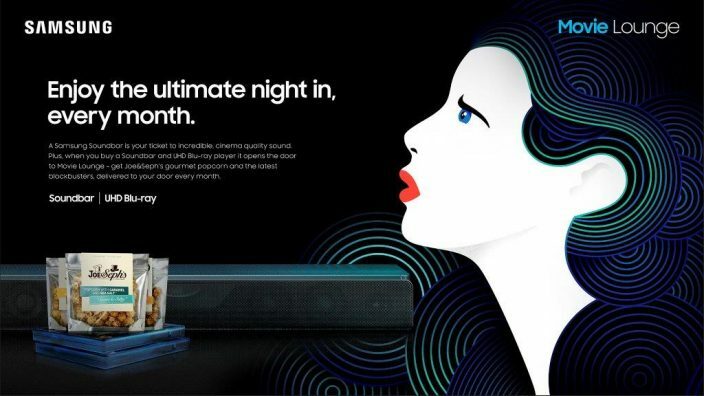 Samsung Launches Movie Lounge For The Ultimate Night In – Samsung Newsroom U.K.
Customers who purchase a selected Samsung Soundbar to enjoy up to 12 months of Joe & Seph’s gourmet popcorn with Samsung’s Movie Lounge. Plus latest 4K Blockbuster releases with subscription when a UHD Blu-ray player is also purchased. London, UK – May 15, 2018 – Samsung Electronics is giving customers the perfect reason to stay in with the launch of the Samsung Movie Lounge in partnership with Joe & Seph’s popcorn and NBC Universal. Delivering the ultimate cinema experience straight to your door, customers who purchase a selected Samsung All in One or Cinematic soundbar will have the option to sign up to the Movie Lounge and receive a 6 or 12 month Joe & Seph’s popcorn subscription. For the ultimate cinema experience, one of the latest 4K UHD blockbusters will also arrive with the popcorn every month when a UHD Blu-ray player is purchased at the same time. 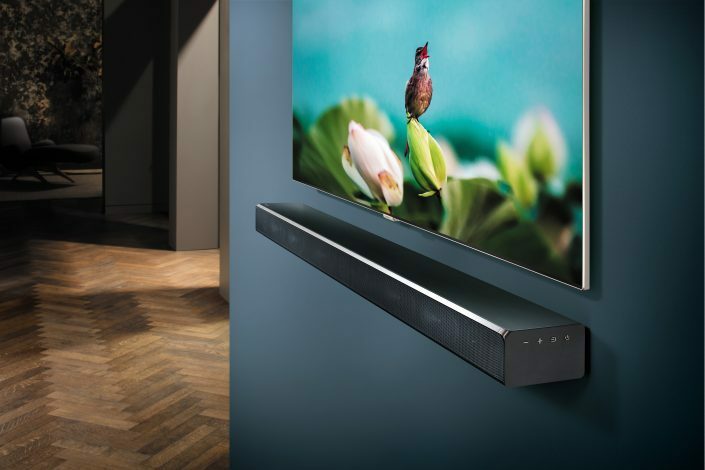 Samsung’s award winning Cinematic soundbars place the viewer right at the heart of every moment. With up-firing speakers and Dolby Atmos, crystal clear audio is sent pulsating around the room. Additionally, Samsung’s All in One soundbars have an integrated subwoofer which delivers powerful base and wide sound coverage. Samsung makes every seat the best in the house ensuring viewers are able to hear every note and feel immersed at every moment. The soundbars, paired with the UHD Blu-ray player bring movies to life, giving customers their best at-home cinema experience. The UHD Blu-ray players deliver dynamic content in exceptional quality, letting the customer watch the content the way the director intended – bringing the cinematic experience straight to the home. With this set up, there will be no need to worry about FOMO while enjoying a night in. Subscribers can enjoy eight different Oscar-worthy popcorn flavours a month, including Cookies & Cream, which is exclusively available to Samsung Movie Lounge subscribers, as well as enjoying Thor: Ragnarok on their first month and Jumanji: Welcome to the Jungle, the following. T&C’s: Purchases must be made by 28.02.19 and in the same transaction. Participating retailers only. Claim online after 30 days of purchase and before 30.03.19.